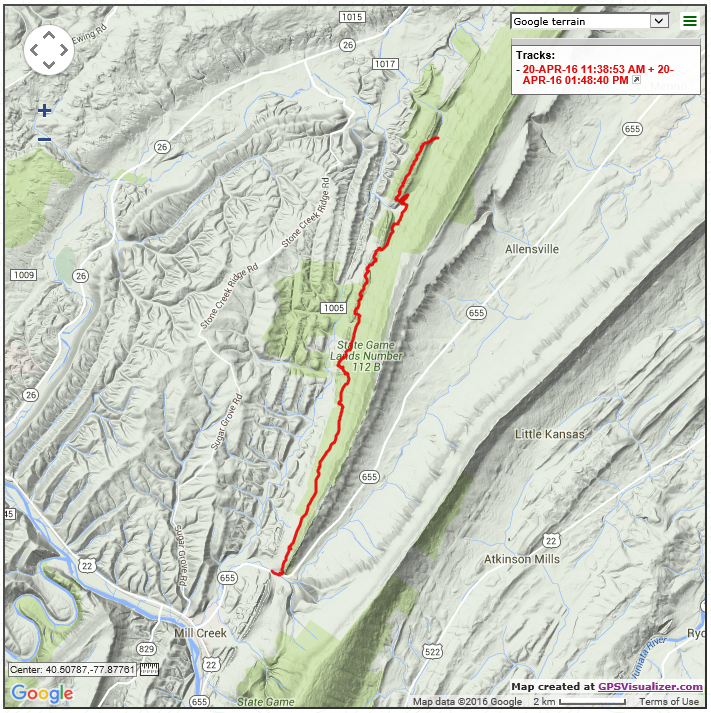 The Standing Stone Trail is the best long distance Trail in Pennsylvania. It's also one of the toughest. The last segment up to Greenwood Furnace State Park epitomizes this mix. The ridge is one big long pile of rocks for seven miles. Where the trail builders haven't tamed the rocks, it is slow going, picking ones footing, unable to look up for a moment. That lasted for five miles and I had about had it. Then there were the two miles of amazing trail where they've laid down huge flat 'pavers' across the level areas of rock and have built innumerable sturdy steps to climb the piles. Somebody did a whole lot of work there, and it was worth the effort. This special two miles of trail also featured the best views and even included a wooden observation platform called Hawk Watch. 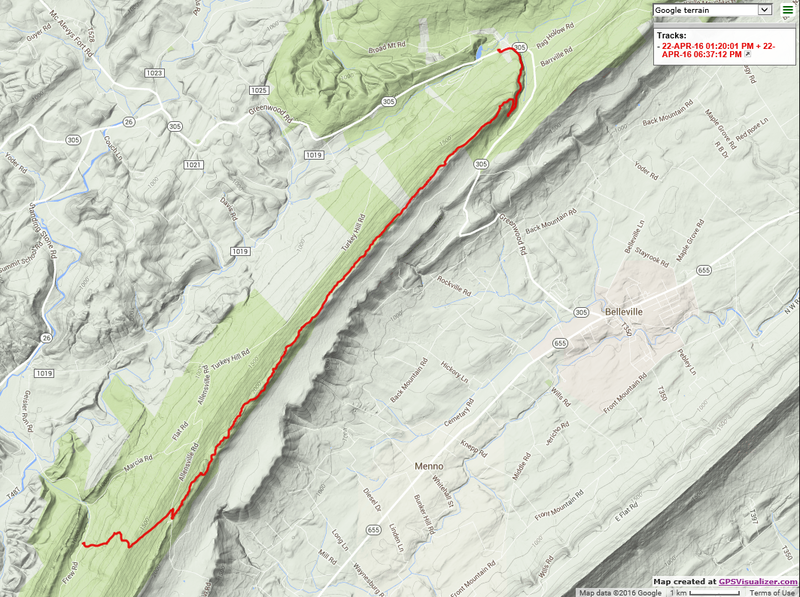 It's a piece of trail I will not forget because it literally demands your undivided attention. On the next segment south, which I covered on Day 8, the trail is much less stressful and more whimsical. It meanders among the 'Thousand Standing Stones' of Rocky Ridge. This is a distinctive ridge with big outcrops separated by saddles. The best of them have views. There are tunnels like the AT's Fat Man Squeeze and narrow wedges like the Lemon Squeezer. The trail was routed such that the hiker was forced to play among the rocks. If you're just trying to chalk up miles, then this could be annoying. I wasn't in a hurry, though. So I lingered, I played the game, and I won. Here are the static screen shots of my route for these two days.